The most doorway space, the most spacious cabin interior, and the widest and strongest ramp of any wheelchair van yet! We Want To Buy Your Handicap Van! 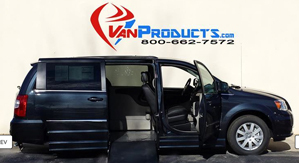 Van Products is the most trusted dealer of handicap accessible vans in Raleigh, NC. Shop new handicap vans and used handicap vans to fit your unique mobility needs or the mobility needs of a loved one online or in our showroom. Van Products offers a wide selection of new and used handicapped vans for sale in Raleigh, NC. Choose from side-entry handicapped vans or rear-entry handicapped vans. Customize your handicap van to fit your mobility needs. We offer tons of customizable features to help make your next experience purchasing a handicapped van a positive one. 1 - Used wheelchair vans cost less. Buyers who are more budget conscious may want to look at used wheelchair vans for the price tag. Unlike other handicap wheelchair van dealers, Van Products only sells the best quality used wheelchair vans from top manufacturers. Each of our pre-owned handicapped vans goes through a rigorous multi-point inspection to ensure safety and quality. 2 – Our used handicap vans are customizable. We recognize that not all physical disabilities are the same and there isn’t one handicap van to fit everyone’s needs. This is why we allow you to customize the van to fit your unique mobility needs. Work with one of our mobility specialists to figure out which features we offer as well as which other types of customizable mobility features you’d like to include, such as: automatic wheelchair ramps, hand controls, tie-downs and more. 3 – Our used handicap vans are from top manufacturers & are ADA compliant. When you buy from Van Products, you know that you are buying a high quality mobility van from a leading manufacturer. We put each of our used handicapped vans through a series of stringent, multi-point checks and tests to ensure the highest safety and quality. Additionally, each of our used handicapped vans is ADA compliant, keeping in line with all legal and safety standards. Achieve a greater freedom of independence with a new handicap van from Van Products. As your trusted leader of handicapped vans for sale in the Raleigh, NC area, we work hard so that you don’t have to. Reduce pain and fatigue with the right wheelchair accessible van. Our mobility specialists can help! A converted minivan offers people with disabilities greater accessibility, reliability and freedom of mobility. When you are faced with a physical disability, being able to drive yourself from place to place without assistance is advantageous and allows you to experience a sense of independence. It allows you the convenience to go where you want when you want without having to necessarily depend on another person to help you. Alternatively, if you care for someone who has a physical disability, a handicap accessible vehicle makes it easier for you to transport loved ones much more safely, leaving you less strained. With two showrooms in North Carolina, Van Products makes it convenient for our customers to stop by and see the new wheelchair vans that we have in stock. As one of the leading wheelchair van dealers in Raleigh, NC, we take great pride in being able to sell you high quality handicap vans from top manufacturers, such as: Honda, Dodge, Chrysler, Toyota and more. Contact one of our mobility specialists today, or stop in and speak to one of our team members in person. Test out some of the latest mobility features on our handicap vans, and see how we can customize one of our new handicap vans to suit your specific mobility needs and lifestyle. Van Products is more than just wheelchair accessible vans. We also specialize in personal mobility products, such as wheelchair lifts for your van, stair lifts, automotive seating, scooter lifts, hand controls and more. Our wheelchair lifts are specially designed for your handicap van and assist those who are traveling by van and have a wheelchair or scooter with them. Today, there are a multitude of makes and models to choose from, ranging from mechanical solutions to fully integrated systems. As a leader in the sale of wheelchair van lifts in the Raleigh area – we invite you to stop by our showroom to test out some of our wheelchair lifts to get a real feel for how they work. We also offer wheelchair platform lifts, wheelchair ramps, and additional mobility-related products. There are times when it makes sense to buy a handicap van and times where it makes more sense to rent a handicap van. At Van Products, we believe that everyone deserves to experience freedom of mobility – regardless of what your physical challenges are. This is why we offer handicap van rental in Raleigh, NC. Whether you’re renting a handicap van for a visiting loved one or because you’re recovering from an injury – Van Products offers affordable handicap van rental rates with a range of plans to accommodate your needs. With two locations to better serve you and a large inventory of new and pre-owned handicap vans – Van Products always puts you first. 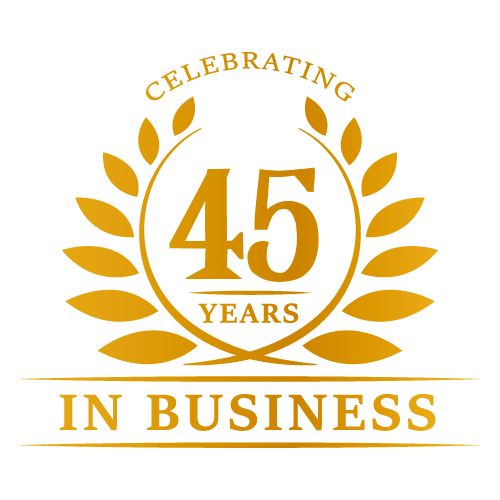 We care about each of our customers, and we work hard to ensure that you only get the highest quality handicap vans and even better customer service. Connect with us on social media, stop by our showroom or give us a call today. We look forward to assisting you with your mobility needs.